I had the pleasure of recipe testing several of the recipes in this awesome new cookbook! 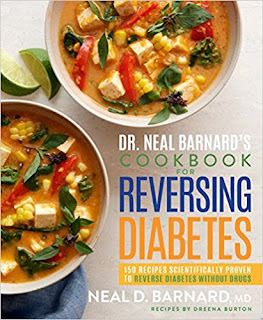 There are over 150 scrumptious, diabetic-friendly recipes designed by the famous plant-based chef, Dreena Burton (author of Let Them Eat Vegan and PlantPowered Families and several other cookbooks). I HIGHLY recommend this cookbook if you are looking for recipes especially designed to help you get off your medications and lose weight.